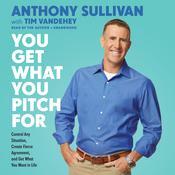 TV's most popular pitchman reveals the secrets of pitching to get what you want in virtually any situation. Anthony "Sully" Sullivan went from selling car washers in rainy Welsh street markets to selling to audiences of millions around the world as the face of OxiClean. How did he do it? Convincing people to give you what you want is an art form that takes charisma and confidence. But no great pitchman achieves success based on those quali­ties alone. The good ones make themselves great with practice and discipline, mastering a series of skills that Sullivan dubs the ten "Pitch Powers." These are essen­tial techniques he's learned in more than twenty-five years "on the joint" (that's pitchman-speak for the area where you're selling). For the first time ever, Sullivan reveals the secrets behind his seemingly superhuman ability to persuade others--even if they start out regarding you with sus­picion or even hostility. Do it right and you'll change minds, open doors, get opportunities, turn adversar­ies into allies, make more money, and gain the kind of confidence that makes other people want to know you. From the first Pitch Power ("Know Your Acceptable Outcomes") to the last ("Finish with Confidence")--with invaluable strategies along the way on using your flubs to get a laugh, how to deal with push-back, and more--Sullivan reveals that pitching is all about engaging a person face-to-face and eye-to-eye so they feel like you're speaking directly to them, even if there are fifty other people in the room. It's turning a crowd of strangers with their arms folded into a legion of fans ready to say "yes" enthusiastically to whatever you propose, what Anthony Sullivan calls fierce agree­ment. It's the power to get the job, get the girl (or guy), get the part, make money, get better service, advance your career--do just about anything you want to do. 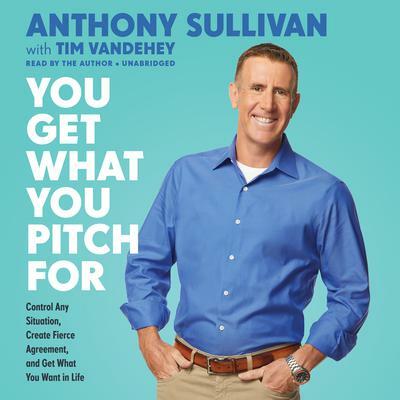 TV's most popular pitchman reveals the secrets of pitching to get what you want in virtually any situation. Anthony "Sully" Sullivan went from selling car washers in rainy Welsh street markets to selling to audiences of millions around the world as the face of OxiClean. How did he do it? Convincing people to give you what you want is an art form that takes charisma and confidence. But no great pitchman achieves success based on those quali­ties alone. The good ones make themselves great with practice and discipline, mastering a series of skills that Sullivan dubs the ten "Pitch Powers." These are essen­tial techniques he's learned in more than twenty-five years "on the joint" (that's pitchman-speak for the area where you're selling). For the first time ever, Sullivan reveals the secrets behind his seemingly superhuman ability to persuade others--even if they start out regarding you with sus­picion or even hostility. Do it right and you'll change minds, open doors, get opportunities, turn adversar­ies into allies, make more money, and gain the kind of confidence that makes other people want to know you. From the first Pitch Power ("Know Your Acceptable Outcomes") to the last ("Finish with Confidence")--with invaluable strategies along the way on using your flubs to get a laugh, how to deal with push-back, and more--Sullivan reveals that pitching is all about engaging a person face-to-face and eye-to-eye so they feel like you're speaking directly to them, even if there are fifty other people in the room. It's turning a crowd of strangers with their arms folded into a legion of fans ready to say "yes" enthusiastically to whatever you propose, what Anthony Sullivan calls fierce agree­ment. It's the power to get the job, get the girl (or guy), get the part, make money, get better service, advance your career--do just about anything you want to do. Tim Vandehey is a professional ghostwriter, book collaborator and "book doctor." Since 2004, he has ghostwritten or co-written more than 30 books in the self-improvement, memoir, sports, spiritual, health, business, and financial genres. They include Produced by Faith with DeVon Franklin, Running on Faith with Jason Lester, and How to Make the Rest of Your Life the Best of Your Life with Mark Victor Hansen and Art Linkletter. Tim lives on Bainbridge Island, Washington, with his wife and two daughters.